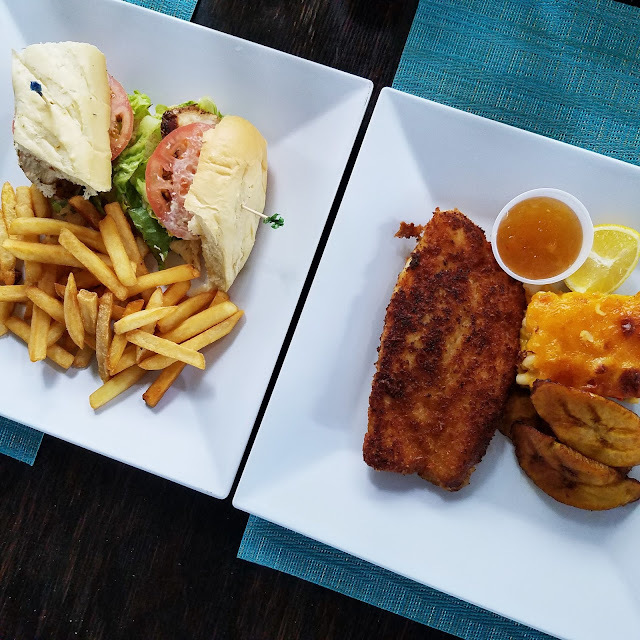 We had some pretty good meals during our trip in Turks & Caicos. You can read about my trip post HERE. 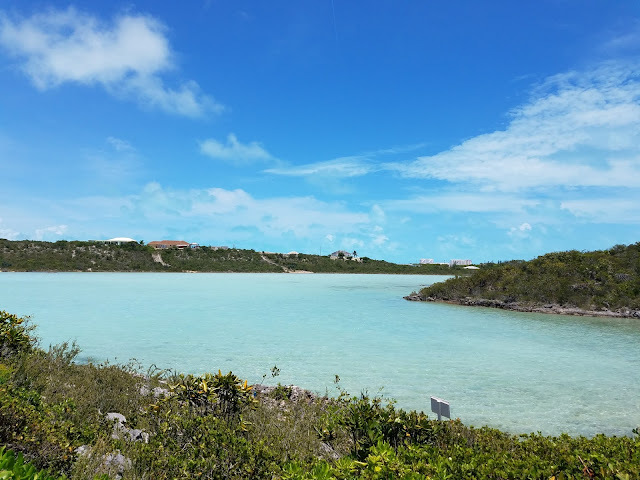 TCI is a pretty expensive island to stay at and also eat at if you want to stay by the water and resorts. I based my decisions on where to eat by looking at some reviews on Trip Advisor. 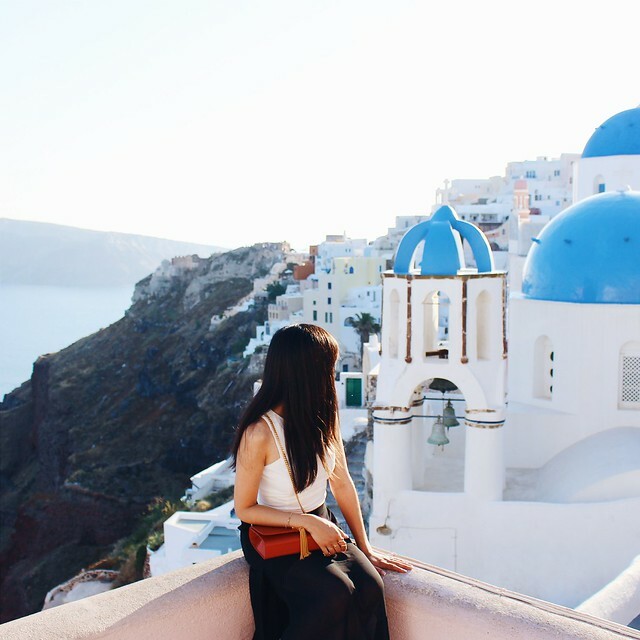 While some are touristy, they are still highly rated for a reason. I read through the reviews of interesting restaurants and looked for recommended dishes. 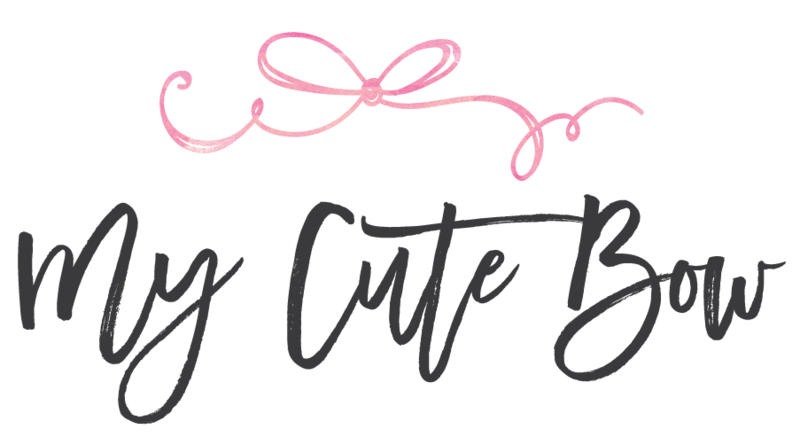 In this post I will share pretty much all of my food adventures during our 5 day stay. 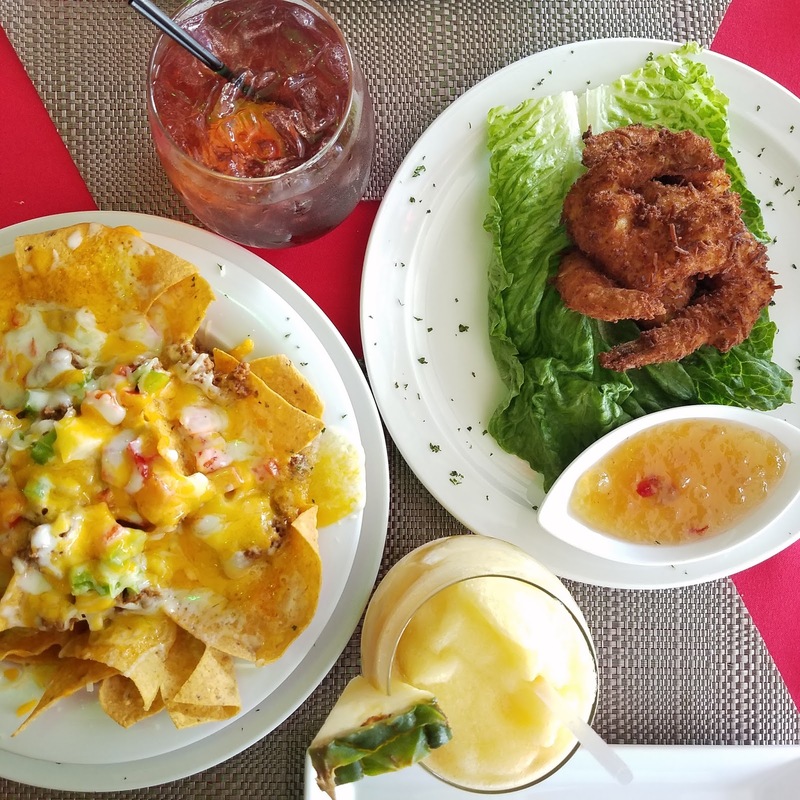 To begin, you'll often see us order only one entree and maybe some appetizers. While we like to save money, we also have small stomachs and get full really fast. Which was a benefit since each meal was quite expensive already. We also share our meals because we like to try more things. 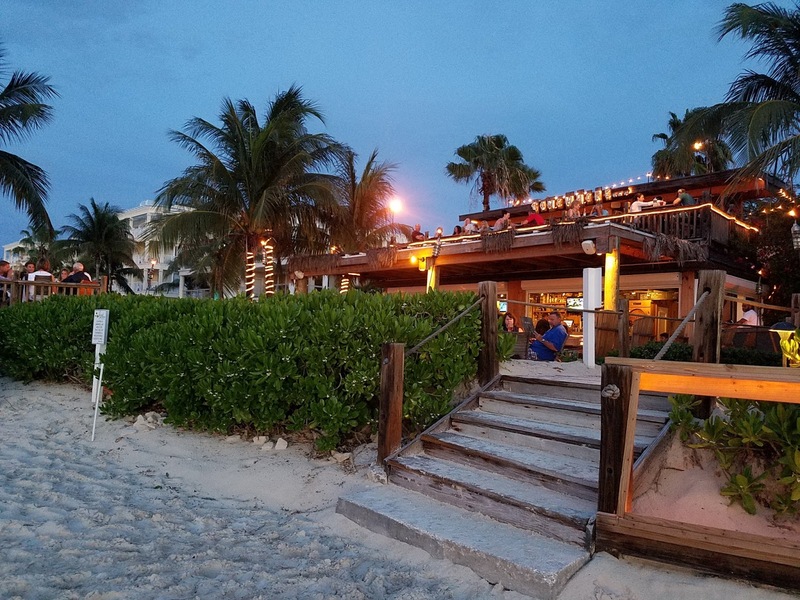 From reviews, I saw that Sands has a manager's reception for guests every Tuesday at 5pm. I quickly checked the calendar and realized I arrive on a Tuesday afternoon. How perfect! 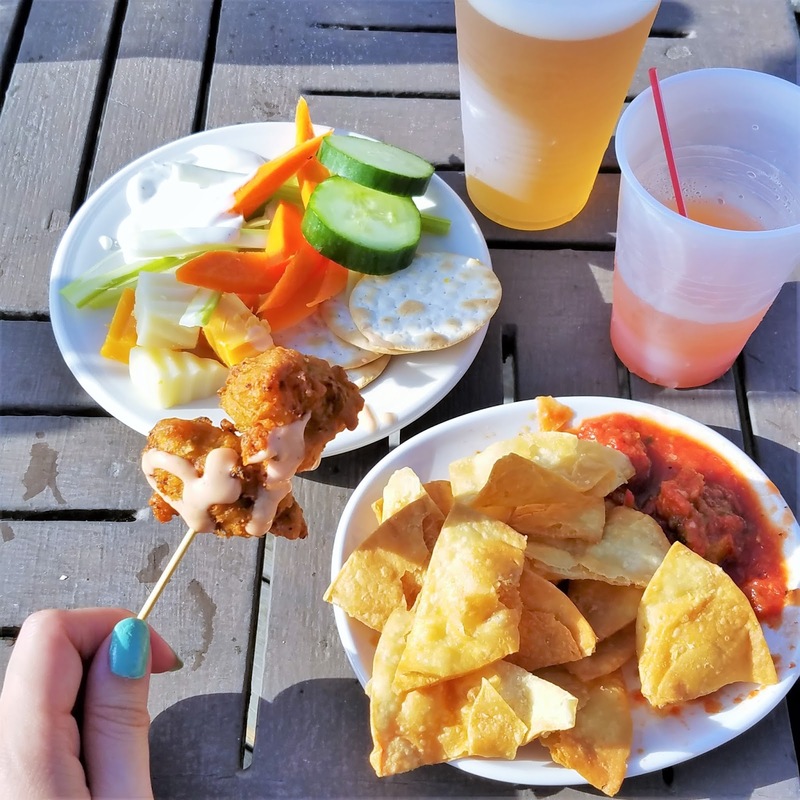 We got to enjoy some veggies with dip, salsa and chips, cheese, and even conch fritters! 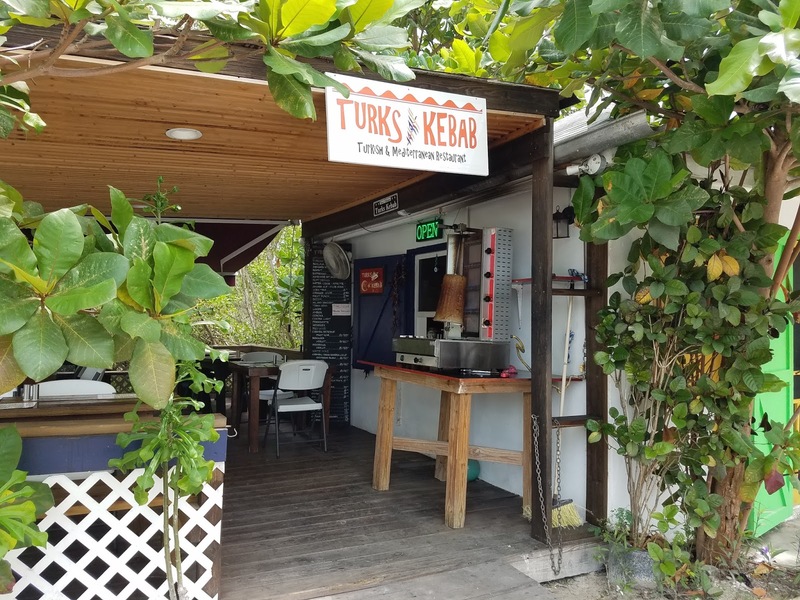 They served Turks Head beer, rum punch, and water bottles. It was the perfect welcome meal on the day we arrived at TCI. For dinner we decided to keep it light since we snacked so much. 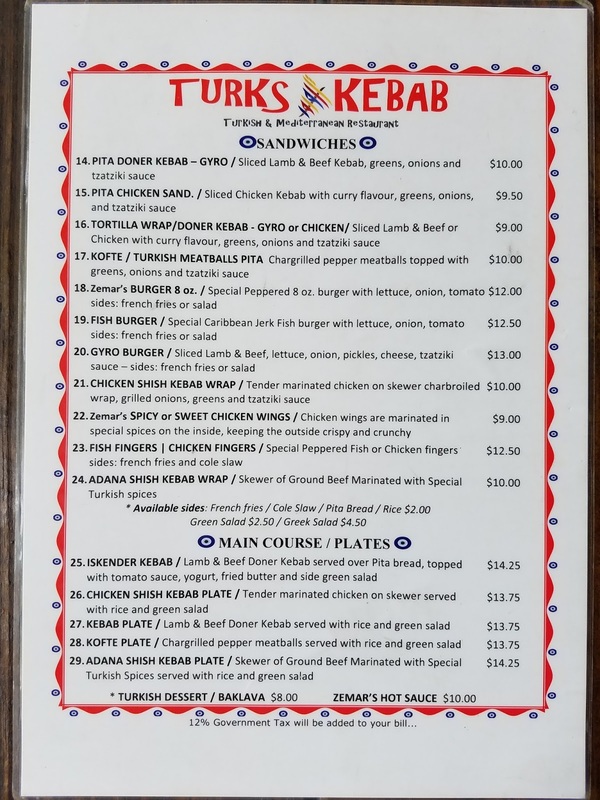 We drove to Turks Kebab (it's walkable distance). 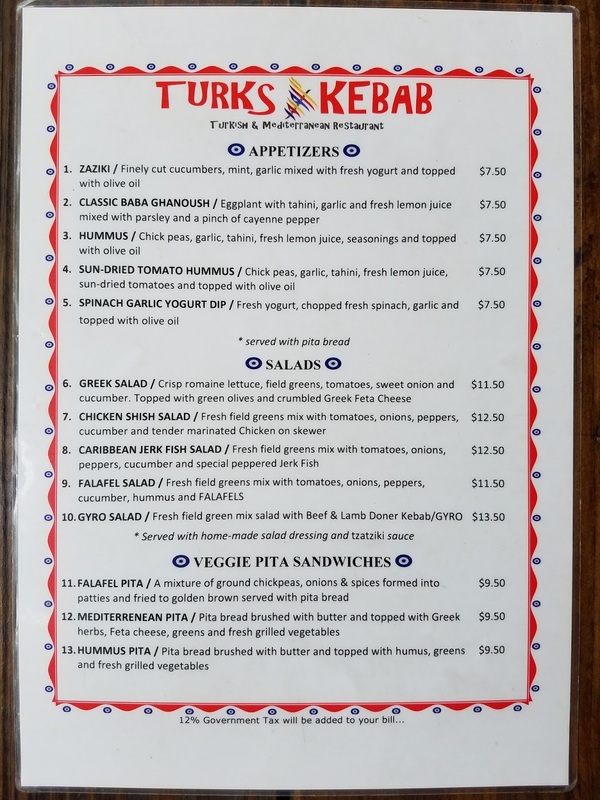 I was very excited to try this place because it was a highly rated, casual and inexpensive. We ordered the hummus as appetizer and #14 -Pita Donner Kebab - Gyro based on recommendations. The gyro was delicious! 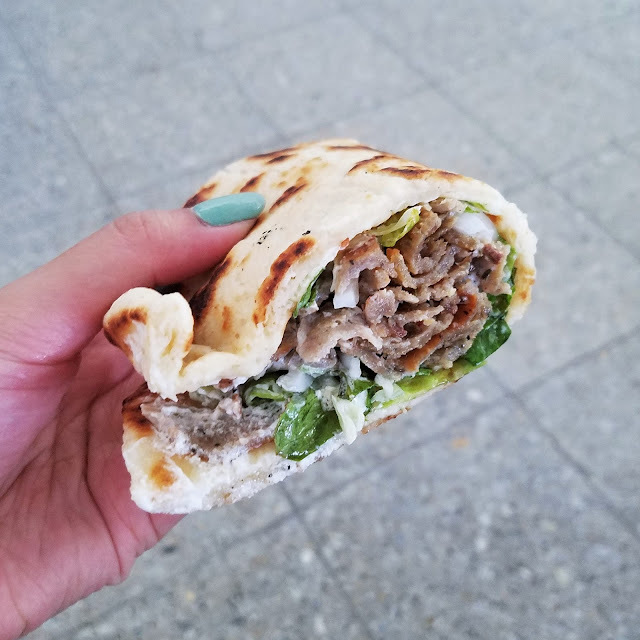 Tasted as good as the gyros I had in Greece. Also the hummus was super fresh and went great with the pita bread it came with. Wish it came with more bread, but we had our own store bought bread to continue dipping. We enjoyed this meal so much that we ordered it for takeout again on the day we left for the airport. 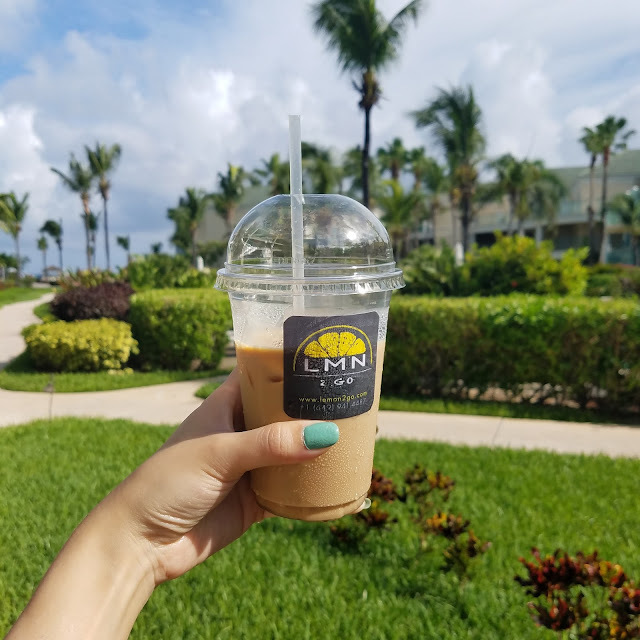 Nothing super special but I found this cute coffee shop on Trip Advisor and it was close by our hotel on Grace Bay road. Really good iced lattes. 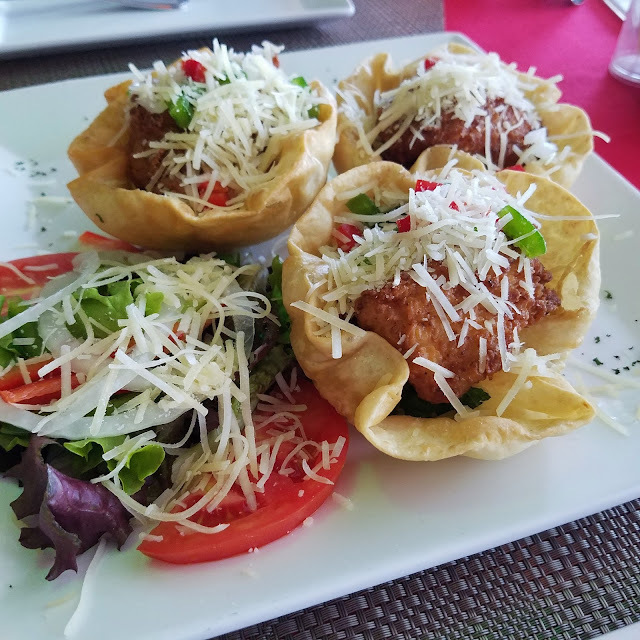 As expected from the reviews, there's not really special about the food at Las Brisas. I couldn't even find some good food recommendations so we just ordered what we saw on the menu that day. It was also one of our more expensive meals. But the reason to go to Las Brisas is for the VIEW! It is the only restaurant in the area with a clear and beautiful view of Chalk Sound. I've never seen anything like it. It was just amazing to sit here and look out to this body of water. It looks like you can also make boat ride reservations and kayak rentals right outside the restaurant. 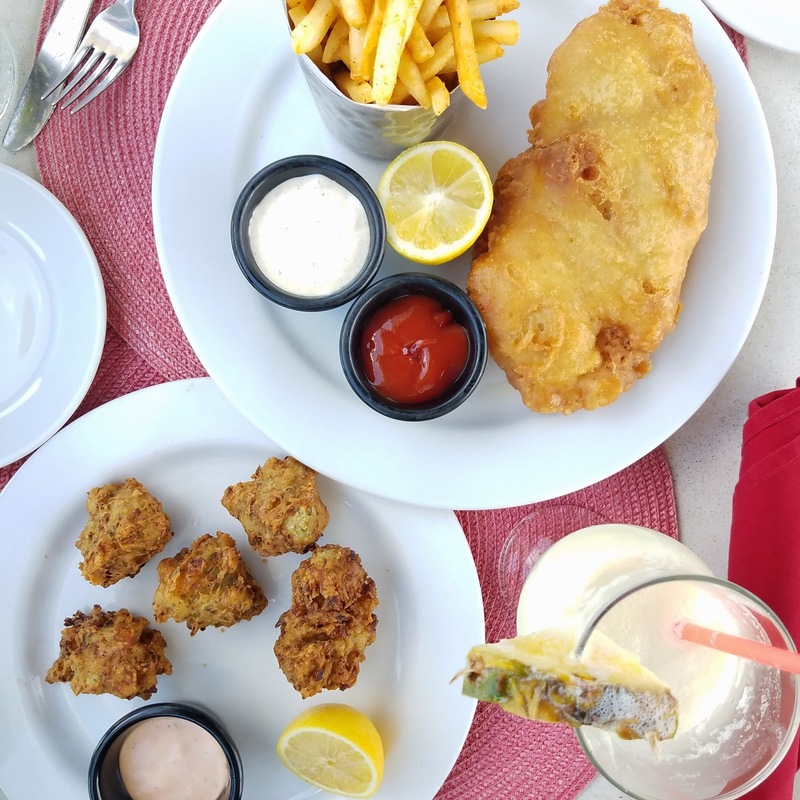 We shared conch fritter appetizers, fish and chips entree, and a pina colada. 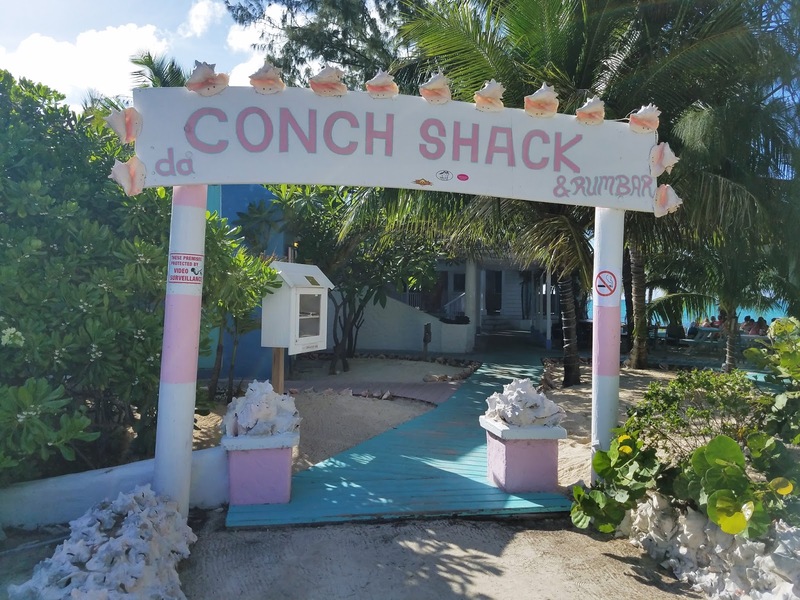 After a day at Taylor Bay beach we stopped by da Conch Shack on the way home. This place is really popular for their local food. 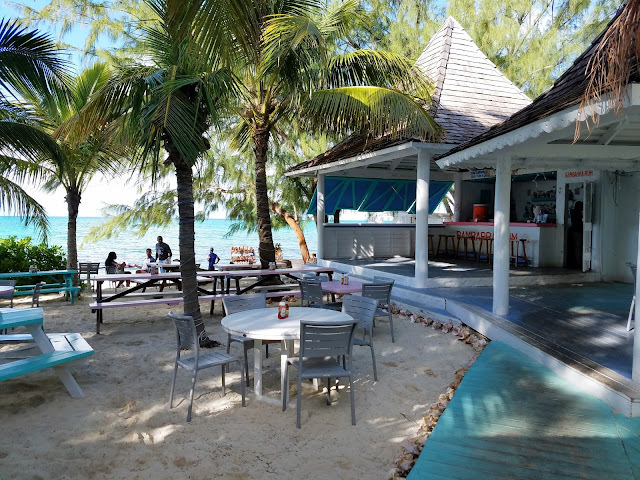 Lots of conch options on their menu as well as wings and burgers. 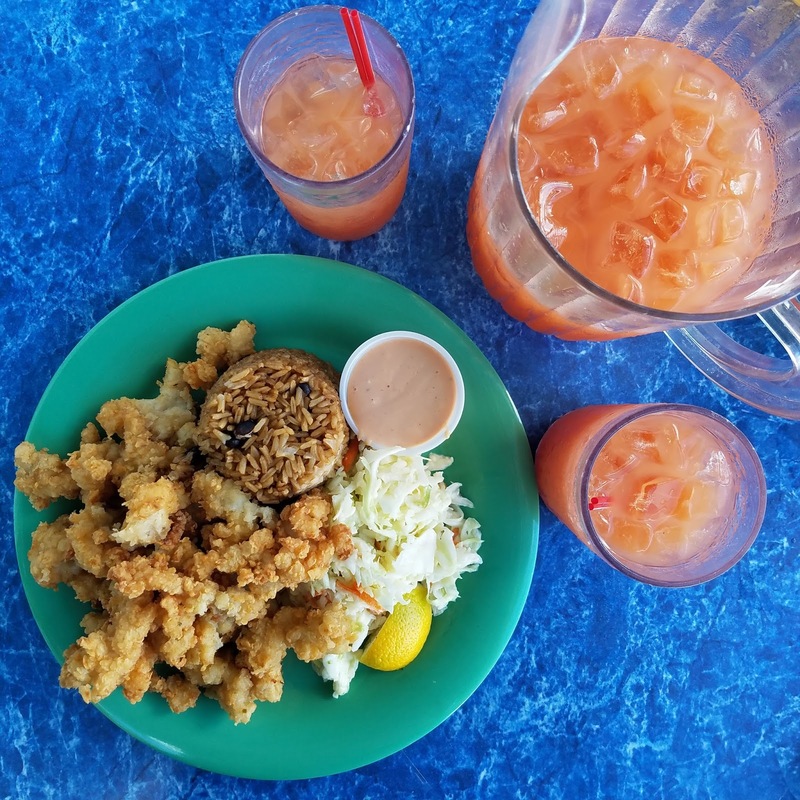 We tried cracked conch with a pitcher of rum punch. So yummy. The view was also to die for. We saved money by buying bread and fruit from the grocery store as our breakfast and snacks. We did order a nice breakfast one morning. Boy was it expensive. 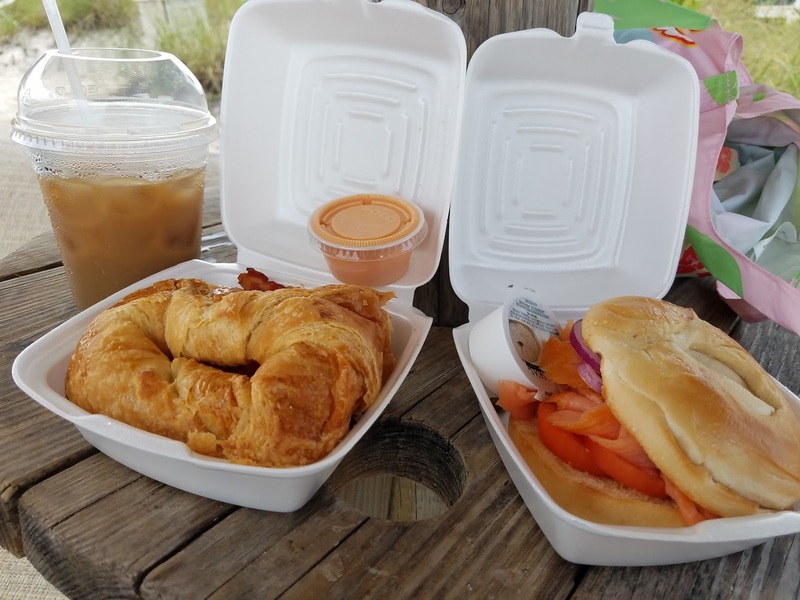 We had a classic croissant breakfast sandwich and a smoked salmon bagel with an iced coffee. 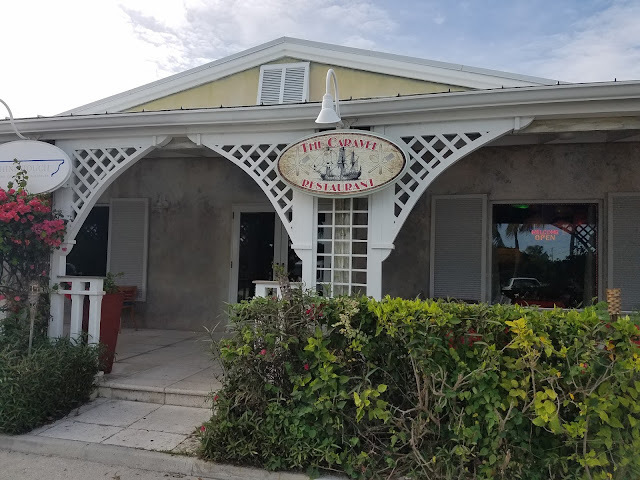 You have to go to Mr. Grouper's for their grouper fish! Just because it was named Mr. Grouper I wasn't expecting their grouper dish to actually stand out. According to the reviews many people raved about the coconut crusted grouper. So of course that's what we ordered. It was probably one of the best fish dishes I ever had (and I'm not a fan of eating cooked fish). It comes with two sides so we added mac and cheese and sweet plantains. We also ordered a jerk chicken sandwich, it was ok, a bit dry. This was one of our cheaper restaurant meals. Unfortunately it rained in the afternoon on a Thursday so the weekly Fish Fry was cancelled. So we decided to go here last minute. 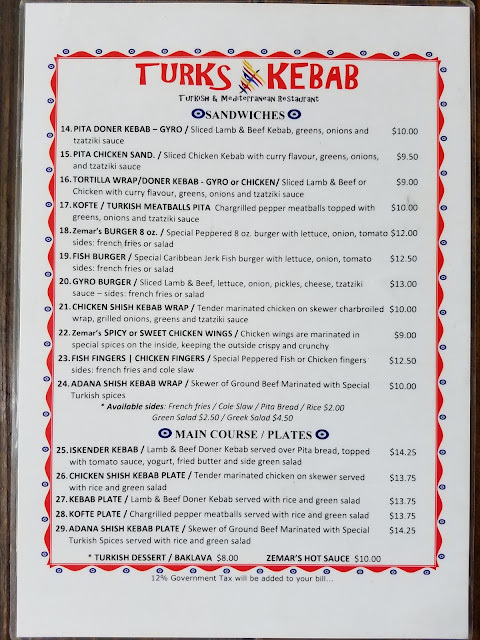 I read about this place before coming but I wasn't sure about wasting a meal on tex-mex food but I'm really glad we went. 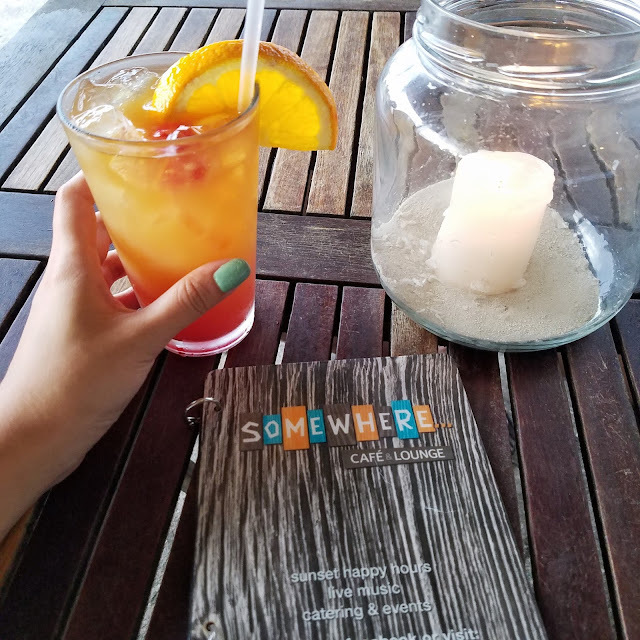 Everything was really tasty and it was also happy hour and sunset time when we went. It is right outside by the beach. 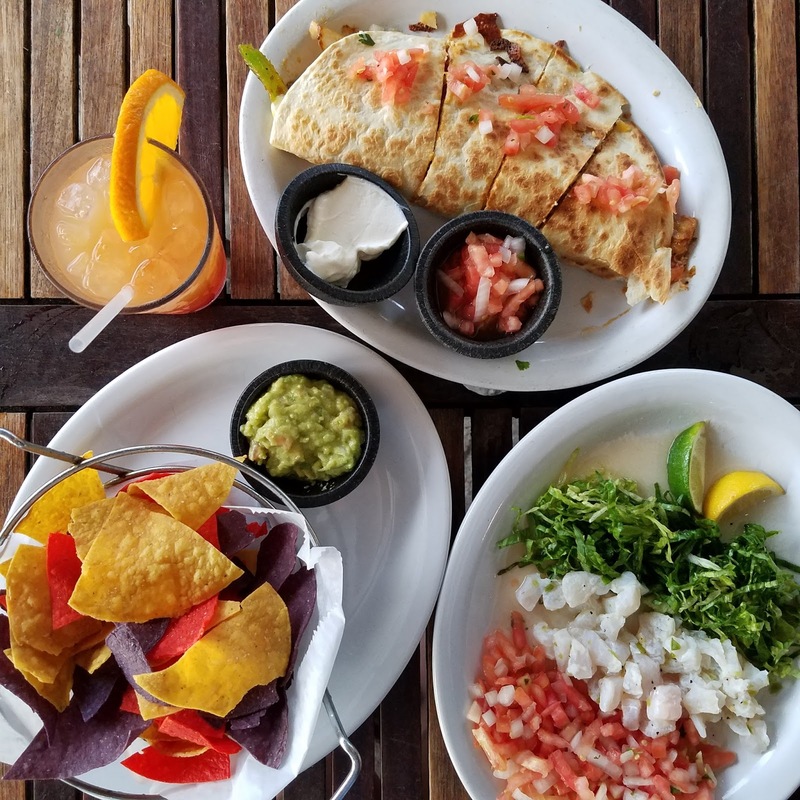 We ordered shrimp ceviche with chips as appetizers and chicken quesadillas as an entree. We both ordered a drink. There are a lot of hotel restaurants so there's really not much to say about them. 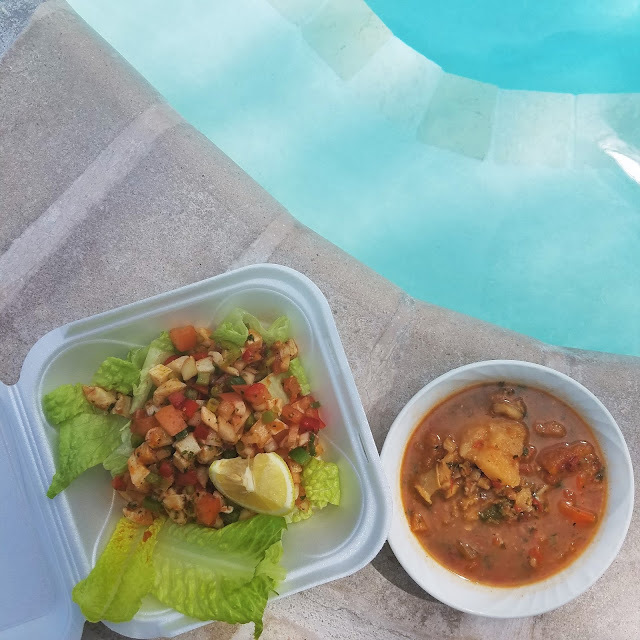 I went to try out Seaside Cafe for lunch one day because I read they had one of the best conch ceviche salad. We also tried their conch chowder. Both were really good and I crossed off some more versions of conch dishes to try. For our last meal, instead of having fine dining we chose the Caravel. It would have been nice to eat by the beach or something fancier but this place had 50% off appetizers on Fridays at 5pm and highly raved fish tacos. I couldn't pass this up. We even made reservations but there's was no one there when we arrived haha. Island life. I think the place is still really new because they are pretty well rated on Trip Advisor but don't have too many reviews yet. We both ordered a drink and beef nachos and coconut shrimp for appetizers. Both were good. And finally, the fish tacos. Wow. 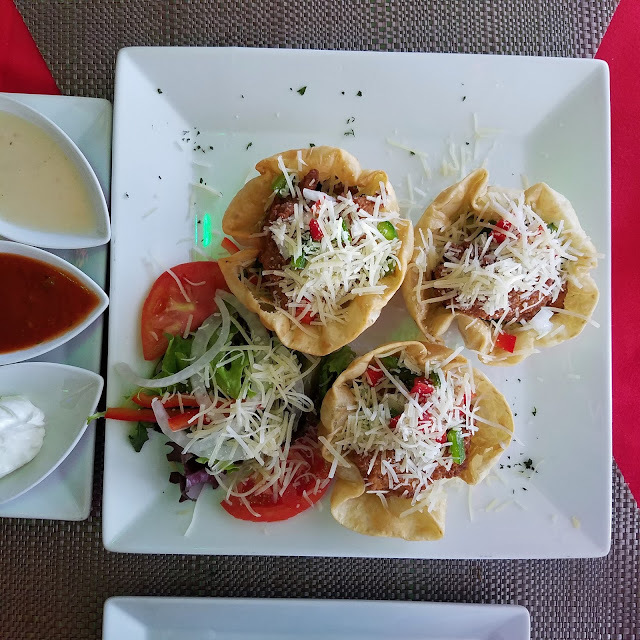 I loved the fish tacos I had in Hawaii but these are also high up there. These are made differently with a puff pastry, crunchy shell. The fish was really fresh and soft and it was topped with lots of ingredients. It was so good and I wish i could have eaten more but I was so full already. 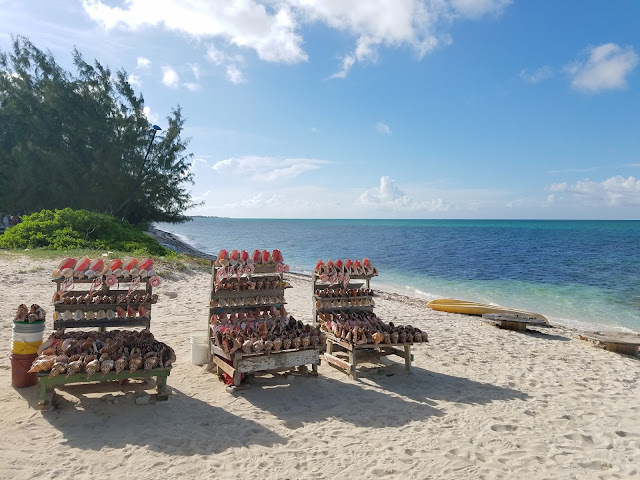 To get an idea, in our 3 and half days in Turks & Caicos, we spent $440 on just food. We only ate out 1-2 meals a day. We've also shared our meals, bought groceries, and bakery for breakfast. So you can imagine how the food bill could have run up even higher. But every meal we had was very good and we just enjoyed ourselves while on vacation. Bugaloo and Kalooki's - These look similiar to da Conch Shack serving carribean food and also by the beach. 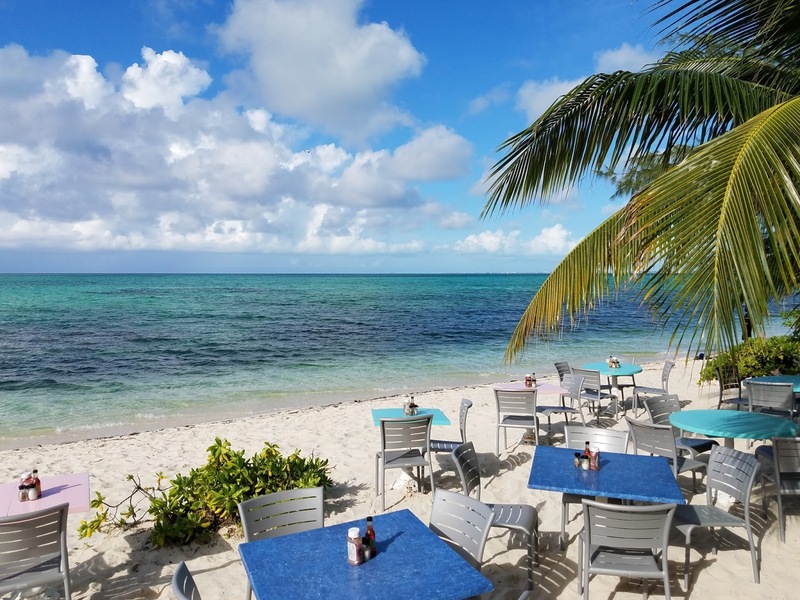 Yummy local menu with a tropical view. 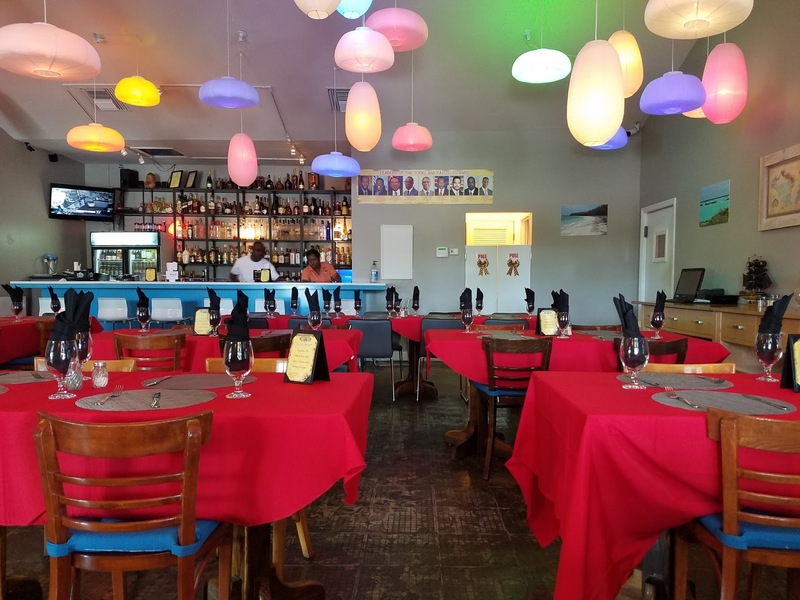 Bay Bistro and Seven - Lots of nicely reviewed hotel restaurants that you can check out if you are too lazy to go far. Hope this list was helpful in deciding where to eat on Providenciales, Turks & Caicos. Have you been there and have any recommendations?